The Sunbed Hire Directory is able to deliver sunbeds across the UK. All sunbeds are manufactured in the UK and come with a full 12 month guarantee. The Sunbed Hire Directory have been established since 2003, and offer an excellent reliable service. Our in depth knowledge of the equipment and industry allows us to offer the very best advice in helping you choose the right sunbed for you. To order from us is simple and safe. One of our friendly agents will contact you via phone or email if you prefer to discuss the options. Please note, we only supply persons over 18 years of age. When your decision is made, we can email you an invoice, and payment can be made via debit or credit card or if you prefer a cheque can be posted. A delivery date for your equipment will be provided. 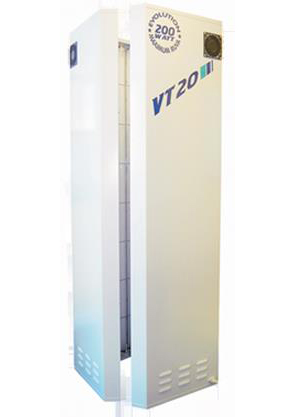 The VT20 is a sophisticated 20 tube domestic vertical tanning unit for use within the home. The design incorporates an all metal rigid construction with an hygienic white enamel finish. 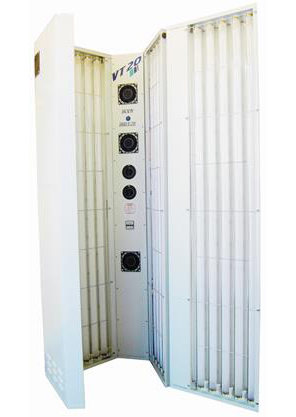 A host of unique features are included as standard to make the VT20 the ultimate domestic vertical tanning unit. 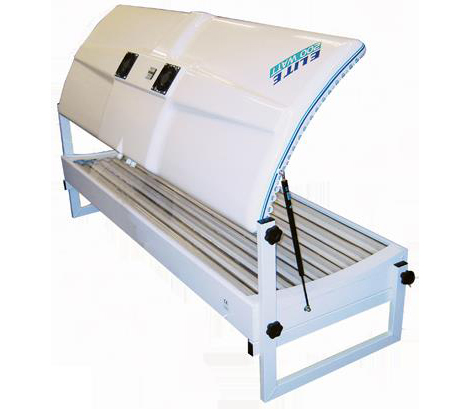 The integral body breeze unit and fully hinged door ensure total surround full body tanning. 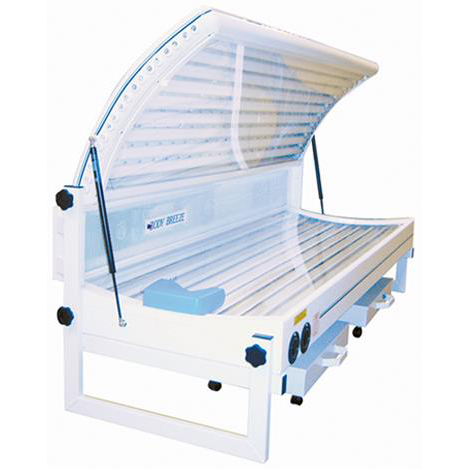 The close proximity tanning area can be adjusted to suit the customer requirements. 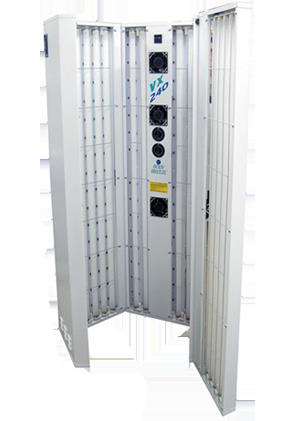 The price is flexible depending on tubing options available between 160 watt and 240 watt ETP. Current prices range is between £1550 and £1745. 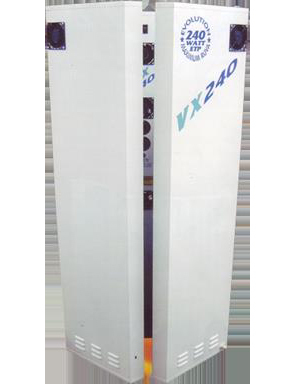 The VX Range of domestic Vertical Tanning Units are designed to maximize full body coverage and produce outstanding tanning results. The new ergonomic shape promotes customer comfort and exceptional performance. The rigid all metal construction incorporates a host of unique features for optimal reliability. These VTU's are manufactured in Great Britain using only the highest quality components and wherever possible comply with the latest British and European standards. The price is flexible depending on tubing and finishing options available between 160 watt and 240 watt ETP. Current prices range is between £1850 and £1999. The price is flexible depending on tubing and finishing options available between 160 watt and 240 watt ETP. Current prices range is between £1290 and £1749.